It is an issue that affects millions of consumers in the US . At stake are the interests of the pharmaceutical companies, insurance companies and the government. For years, the pharmaceutical industry was profiting from a friendly government and non-powerful consumer organisations. Not anymore. Now, protests are beginning to be heard. At the heart of the problem is the cost of prescription drugs, prices of which have been rising at a whopping 12 per cent every year. This is because many companies have been getting extensions on the patents for their drugs, thus preventing the production of cheaper generics - drugs that are not protected by a traditional trademark. The effect of this is being felt by the people, especially the elderly, who are finding it increasingly difficult to afford them. The American Association of Retired Persons reports that one-third of the elderly have no prescription drug allowances in their Medicare coverage. One-fourth of American citizens over the age of 65 shell out at least us $ 500 every year out of their pockets for prescription drugs and 12 per cent pay more than us $ 1,000. Michael Fedyna of the Empire Blue Cross and Blue Shield, an insurance company, says that his company is now paying more for prescription drugs than for hospitalisation. Looking for loopholes In 1984, the us Senate passed a Bill which tried to regulate drug prices by injecting competition into the market. It permitted the entry of generics of old drugs into the market. It also encouraged research and development of new drugs by extending drug patents for five years. This law gave drugs that were already in the approval pipeline, such as the popular allergy remedy Claritin, a two-year extension on their patent lives. But drug companies are trying to exploit this law, by asking for longer patents on these "pipeline" drugs and also additional extensions. The pharmaceutical industry is leaving no stone unturned to find ways to maintain patents of a particular drugs. Many companies are trying to extend patents on a handful of brand-name drugs. A case in point is the move by Schering-Plough, a pharmaceutical major, which is lobbying for an extension of its patent on Claritin in the US Congress. The annual sales of Claritin fetches the company a huge profit of us $ 2 billion. One dose of the drug costs us $ 2.50 or more. Its patent expires in 2002. If generic drug makers, who say that they could produce an equivalent pill for us $0.50, are allowed to manufacture the drug, Schering-Plough will lose its most profitable product. The company is now lobbying for a three-year extension. It is also funding the campaign expenditures of politicians standing for elections next year. It donated nearly us $ 500,000 to political candidates and parties in 1998. It intends to donate even more this year. To win support in the Congress, it has increased its lobbying expenditures from us $1.9 million in 1996 to us $4.3 million this year. It has even roped in powerful lobbyists such as Howard H Baker Jr, the former Senate Republican leader and Peter Knight, a close friend and fund-raiser of vice president Al Gore to campaign for its cause. But when the company felt that the move to push for an extension of the patent in the Congress would not be approved on a straight vote, the supporters of the company in the Senate tried to sneak in a Bill in the last days of the Congressional session as a must-pass spending bill. This move was, however, blocked by vigilant legislators. With no luck from the Congress, the company now wants the issue to be decided by the us Patent and Trademark Office hoping that it will give a favourable decision. According to a study conducted by the University of Minnesota, such an extension could cost consumers us $ 7 billion. It is interesting that Claritin which has already got four years of additional patent life, two years from the 1984 law and another two as a result of a world trade agreement, will get another six-month extension by saying that it will run paediatric tests on the drug. Addicted to profit The us pharmaceutical industry is highly competitive and profitable. According to the Fortune magazine, this industry is the most profitable of all the nation's industries based on equity, revenue and assets, even though pharmaceutical stocks rose only slightly - from 34 per cent in 1997 to 40 per cent in 1998. For example, Schering-Plough reportedly made a profit of us $1.8 billion in 1998, an increase of 22 per cent over 1997. However, the pharmaceutical industry, in its defence, says that a large part of its profits is invested in research on improving drugs. Says Richard Jay Kogan, chairperson and chief executive of Schering-Plough: "Only one in every 5,000 chemical compounds ever reaches the us markets. Bringing a drug to the market takes 12 to 15 years and costs up to us $ 500 million." Any effort to control drug prices will have a disastrous consequence of stifling invaluable research, says Mark Grayson, a spokesperson for the Pharmaceutical Research and Manufacturers Association. He says that many Americans go to Canada to buy prescription drugs. The drug companies are perpetually adopting clever ways to keep increasing profits. When the patent for a particular prescription drug is due to expire, the company introduces its own generic alternatives a few months in advance. It then increases the price of the original branded drug. Morton I Kamien of Northwestern University, usa, and Israel Zang of Tel Aviv University, Israel, in their recent article in the Southern Economic Journal say that drug companies know they will lose a large part of sales to generic manufacturers when a patent expires. However, by producing their own generics before that happens, they can gain a dominant position in the generic market, thus reaping the profits from both the original product and their generic copy. And even when they increase the price of the original drug, the marginal sales that they will lose will only go to their own generic drug. Some analysts feel that drug makers increase the price of their product because they know that a number of doctors and patients prefer to stick to the branded drug they know and trust, even if it costs more. Until recently, the pharmaceutical industry has held its own against complaints from consumer organisations. But now they are feeling the heat. 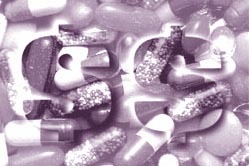 A recent report in the Journal of the American Medical Association described how research on new drugs is often exaggerated in medical journals to benefit pharmaceutical companies that finance them. The consumer organisations have also become better organised and are demanding a cut in prices. To minimise government interference, the industry has resorted to increased expenditure for lobbying and giving generous campaign contributions. As a result neither the government nor the politicians, who pass laws, have been able to provide cheap drugs to all sections of society. And, till the time their monopoly is broken, poor consumers will have no option but to suffer in silence.